Training Without Tension at the Happy Horse gym, where members of the herd go to work out with the helpful guidance of their human helpers! Now available exclusively from HHT! A unique, comprehensive guide to practical rider biomechanics. 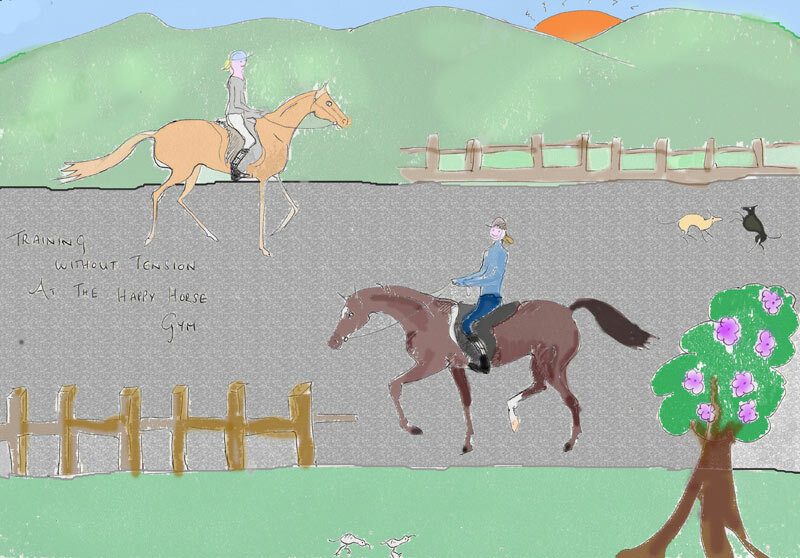 This professionally produced eBook takes the rider through the process of developing their body in the specific way that brings the horse's movement into harmony and balance - without force and constraint. Click here for full details, and to download the 15-page introduction for free. Click here to go to the HHT group and then click on the 'join group' button.